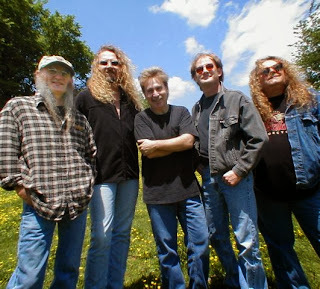 Country rock band Kentucky Headhunters will be the headlining act at the Falkville Fall Festival set for October 12, 2013. Sponsored by the Falkville Volunteer Fire Department and the Town of Falkville, the annual celebration features an antique tractor show, car show, and other family-friendly activities in addition to live music. All activities take place in the town’s downtown area. A pancake breakfast at the Fire Department kicks things off at 7 a.m. where plenty of the fluffy hot cakes will be served until 11 a.m. Donations to the Fire Department will be accepted at the door. The car show and tractor show follow at 8 a.m. with arts and crafts vendors, bingo, inflatable fun for children, and food vendors set up throughout the day. The Fire Department will host a cake auction at noon where an assortment of yummy desserts will be up for grabs. Music fills the air beginning at 9 a.m. At 11 a.m., local artist Jeff Whitlow and the Old Barn Band will open for headliner act The Kentucky Headhunters. With his strong, baritone country voice, Jeff Whitlow performs traditional country music, and whether he is singing a Merle Haggard ballad, or a lightning fast tune from George Jones, the crowd can’t keep from clapping their hands or tapping their toes to the country beat. At 1 p.m., three-time CMA, ACM and Grammy Award winning band, The Kentucky Headhunters will take the stage. The country and southern rock band will be performing some of their great hits such as “Oh Lonesome Me,” “Dumas Walker,” “Walk Softly on This Heart of Mine” and many more songs from their seven studio albums. The event wraps up around 3 p.m. Admission is free. Falkville is located between Huntsville and Birmingham off of exit 322 on Interstate 65. For more information, contact the Falkville Town Hall at 256.784.5922.
its 30th Anniversary Season for 2013-2014 with the Riders in the Sky on Friday, October 11, 2013 at 7:30 p.m. The Grammy-winning artists will be the centerpiece of the 30th Birthday Block Party for the Princess with a variety of activities planned including a Round Up at the Kids Corral event for children and families at 4:30 p.m. and a western theme Block Party on 2nd Avenue in front of the Princess Theatre from 4:00 p.m. until 7:00 p.m. Everyone is invited to wear western attire! The Decatur Daily is the event sponsor with additional support from the Decatur Morgan County Convention & Visitors Bureau and AlphaPet Indorama. That Riders In The Sky was even formed is a feat of improbable likelihood. 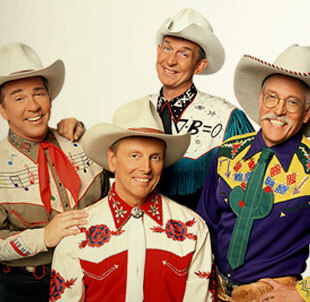 What are the odds that a theoretical plasma physicist, a wildlife manager - galvanizer - Life Scout, an English major – shot putter – Bluegrass Boy, and a Polka Hall of Fame member would collectively become “America’s Favorite Cowboys?” And even more unlikely is that 30 years later, the original members are still “bringing good beef to hungry people” while putting up Ripken-like numbers! The Rolling Stones only made it a few years before replacing Brian Jones; the Sons of the Pioneers constantly changed personnel; even the Ringo-era Beatles only lasted 8 years. (Perhaps Too Slim, as a sophomore writer for the University of Michigan Daily, had an ulterior motive in 1969 by propagating the rumor that Paul McCartney was dead! It’s true… go ahead and Google “Paul is dead rumor”…) But the key to keeping the same founding members intact for three decades on the road is more easily explained: “Separate hotel rooms,” cracks Ranger Doug! As a classic cowboy quartet, the trail has led them to heights they could have never predicted. Riders have chalked up over 5400 concert appearances in all 50 states and 10 countries, appearing in venues everywhere from the Nashville National Guard Armory to Carnegie Hall, and from county fairs to the Hollywood Bowl. Their cowboy charisma and comedic flair made them naturals for TV, and landed them their own weekly show on TNN, as well as a Saturday morning series on CBS. They have been guests on countless TV specials, documentaries and variety shows, appearing with everyone from Barney to Penn & Teller. And their animated likenesses have shared the screen with Daffy Duck on the Cartoon Network, and the Disney Channel’s Stanley. If you consider their compositional credits, one might call them “Writers In The Sky!” In addition to penning award winning songs for their own albums, they wrote the score for Pixar Animation’s 2002 Academy Award-winning short “For the Birds.” They composed the theme song for the internet cartoon show “Thomas Timberwolf” by renowned Bugs Bunny creator Chuck Jones. But the animated character that history will most certainly link to Riders In The Sky is the loveable cowboy Woody, as Riders performed “Woody’s Round Up” in “Toy Story 2,” with the album of the same name garnering Riders their first Grammy Award in 2001 for “Best Musical Album for Children.” Two years later, Riders roped their second Grammy in the same category, for “Monsters Inc. – Scream Factory Favorites,” the companion CD to Pixar’s award-winning movie. Equally as exceptional, but of greater significance, is that in 1982, Riders In The Sky became the first, and to date only, exclusively Western music artist to join the Grand Ole Opry, the longest running radio show in history, and thus began a love affair with radio as well. In 1988, they recorded comedy skits for the album “Riders Radio Theatre” and launched the long-running international weekly radio show of the same name on public radio. And keeping pace with the ever-changing technological landscape, in 2006 “Ranger Doug’s Classic Cowboy Corral” debuted on XM Satellite Radio, heard weekly on Channel 10. Yes, it would be “The Easy Way” to call it a career after 30 years, but it wouldn’t be…“The Cowboy Way!” And so, the never-ending trail drive continues. The ponies are rested and watered, and America’s Favorite Cowboys are ready to saddle up and ride, bringing good beef to hungry people wherever they may be. Yes, Riders In The Sky are truly an exception to the rule. A week-long celebration of events has been planned during October 7-11 to celebrate 30 years at the Princess Theatre. For a full schedule, visit: www.PrincessAnniversary.com. The Princess Theatre 2013-2014 Season is made possible by grants from the Alabama State Council on the Arts and the National Endowment for the Arts. Approximately 5,000 high school athletes are expected to compete in the 15th annual Jesse Owens Cross Country Classic Invitational set for Saturday, October 5, 2013. Hosted by the Jesse Owens Runners’ Club, the race begins at 8:20 a.m. and is held on the championship course located on the grounds of the Oakville Indian Mounds Education Center. 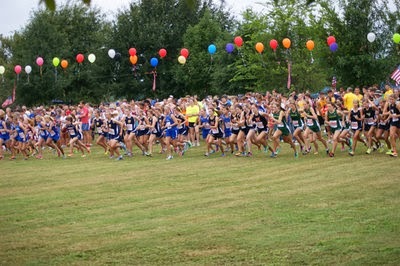 According to Race Director Stanley Johnson, nearly 5,000 high school runners from Alabama, Louisiana, Florida, Kentucky, Tennessee, Georgia, and Mississippi competed in the 2012 event, setting a new record for entries. The race began in 1999 with approximately 450 participants. The competition offers 14 divisions for boys and girls. The top 10 finishers in each division receive a special award with the overall winner in each division winning a trophy. Registration deadline is October 1, 2013. To register online, go to www.alabamarunners.com. For more information including race times and a schedule of events, visit http://alabamahighschoolrunner.com or call Coach Stanley Johnson at 256.566.4410. 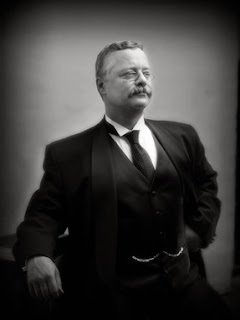 The Friends of Decatur Public Library invite you to An Evening with Theodore Roosevelt on Thursday, October 3, at 6:30 p.m. Regarded by many as the nation’s premiere reprisor of President Roosevelt, Joe Wiegand’s one-man show will be full of stories of adventure, laughter, and inspiration. In addition to the evening show, Mr. Wiegand will present his Teddy Bear Story Time in the Children’s Department at 4:00 p.m. Children are encouraged to bring their Teddy Bear to the program. For more information call Decatur Public Library at 256-353-2993, ext 100. Cooler weather means it’s much more pleasant to be outside and not feel like you’re going to spontaneously combust. 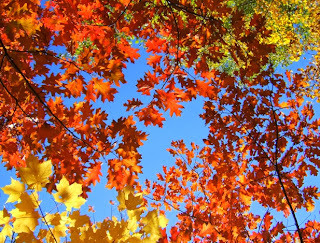 And not feeling like you’re going to spontaneously combust means that being outside for an extended period of time for, say a hike in the woods, would be more than bearable. It would be delightful. 1. Pack well, but light – A map, compass, water, food, lightweight poncho, hat, first aid kit, knife, flashlight, sunscreen, bug spray…these are good items to take with you as you hike. But remember, whatever you take with you, you will carry the entire time. 2. Wear comfortable, sturdy shoes – Take an extra pair of socks in case you have to wade through water. 3. Hike smart with a smart phone – There are apps that provide a GPS, flashlight, and bug repellent. 5. Start early – You don’t want to end up out in the woods after dark, especially if you’re inexperienced. 6. Have a plan – Know where you are and where you are going. Seventy-five years ago, the Wheeler National Wildlife Refuge was established, and today serves as a home to some of the United States’ most precious wildlife resources. Set for October 5, 2013, a birthday celebration is planned to commemorate the establishment of the Refuge and to highlight the refuges’ history and success as a natural resource management demonstration project. Hosted by the Wheeler Wildlife Refuge Association, the 75th Anniversary Celebration will include guided bird-watching field trips and nature hikes, children’s nature programs, bird banding, arrowhead making, lasershot games, hot air balloon tethered rides, archery, and hay rides. From 9 a.m. to 5 p.m., the celebration will provide festivalgoers with multiple opportunities for natural resource exploration through demonstrations, hands-on activities and field trips onto refuge lands. The Alabama 4H Center will have three presentations of Raptor Trek!, a very popular live bird of prey program featuring free flying owls, hawks, and a bald eagle. Show times are at 9 a.m., noon, and 3 p.m.
Larry and Cheryl Battson, founders of Wildlife Educational Services will present their live wildlife program in three scheduled programs at 10 a.m., 1 p.m., and 4 p.m. They have worked with Animal Planet, Discovery Channel and Mutual of Omaha’s Wild Kingdom and their animals have appeared on television programs such as The Tonight Show, Oprah, and the Today Show. The Teddy Roosevelt Show featuring Joe Wiegand entertains audiences nationwide with his reprisal of President Theodore Roosevelt. As a one-man theater show, Joe’s T.R. shares stories full of adventure, laughter, and inspiration. T.R. will be presenting at 11 a.m. and 2 p.m. and will serve as Master of Ceremonies for the event. He will also be visiting area schools prior to the Saturday event. Additional planned activities include a Castingkids Contest presented by Bassmasters of North Alabama; Jakes Take Aim target shooting/firearm safety presented by the National Wild Turkey Federation; and Lasershot Game presented by Alabama Department of Conservation and Natural Resources. Other demonstrations include archery, flint napping, bird banding, hay rides, face painting, hot air balloon rides and a corn maze. Exhibitors including Alabama Wildlife Federation, Ducks Unlimited, National Wild Turkey Federation, TVA, Alabama Department of Conservation and Natural Resources, Natural Resource and Conservation Service, Alabama’s Mountains, Rivers and Valleys Resource conservation and Development Council, and the Wheeler Wildlife Refuge Association also will be on hand to share information. All activities and programs are free to the public. Wheeler National Wildlife Refuge was established in 1938 by Executive Order of President Franklin D. Roosevelt as an experiment to determine the possibility and feasibility of attracting migratory birds onto a multipurpose impoundment. Soon after, ducks began wintering on the refuge and the project was deemed a success. Today, the refuge hosts over 600,000 visitors annually who come to fish, hunt, and observe wildlife in its natural setting. Covering 35,000 acres, it attracts thousands of wintering waterfowl each year and is home to Alabama’s largest wintering duck population. The Refuge also supports the state’s largest concentration of Sandhill Cranes. 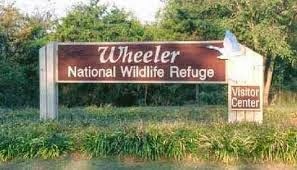 For more information on Wheeler National Wildlife Refuge, visit www.fws.gov/wheeler.